"Before you know how to win, you have to know how to fight." Profile: Backbreaker is a fierce, driven combat trainer. His job is to teach the Decepticons how to become effective warriors, and it is a duty that he takes very seriously. He makes detailed recordings of his fellow combatants in action, then studies then in order to critique their moves and, ultimately, improve their performance. He rarely inspires the Decepticons to improve themselves, however. He is gruff and abrasive in his approach, and is extremely demanding during his training sessions, so he frequently has the opposite effect. "I wish he would just give us a break," says Thundercracker. 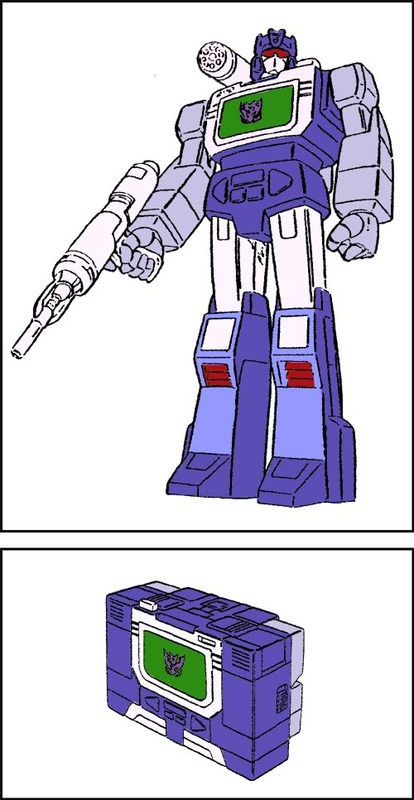 It's fortunate for the Autobots that he creates such low morale among the Decepticon ranks. Abilities: Backbreaker can shrink down to the size of a miniature recording device, and is capable of storing up to 1600 hours of audio and video footage. In this form, he can plug directly into nearly any machine or electrical device and control its functions. 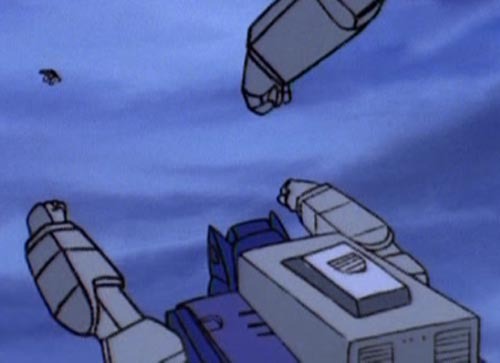 He can also link up directly to his fellow Decepticons, recording images through their eyes. In robot mode, he uses a shoulder-mounted molecular freeze cannon and carries an oil slick gun. Weaknesses: Backbreaker excels at teaching combat theory, but he's not very powerful himself. Also, he would be much more effective at motivating the troops to perform if he weren't so hard on them.